Spirituality is a deeply personal matter. Some cultures prefer religious practices that bring them together. Others find solace in private meditation. Regardless of your beliefs and practices there is value in exploring the eternal questions that continue to challenge mankind. 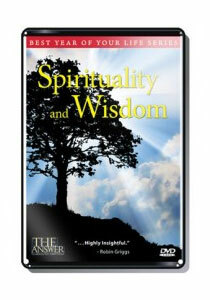 Spirituality and Wisdom brings together four coaches from THE ANSWER To Absolutely Everything; Bettie Spruill, Ray Blanchard, Cara Barker, and Terry Tillman, for a frank and fast-moving conversation on the nature of spirituality and its role in our modern lives. Experience your life as whole and complete.